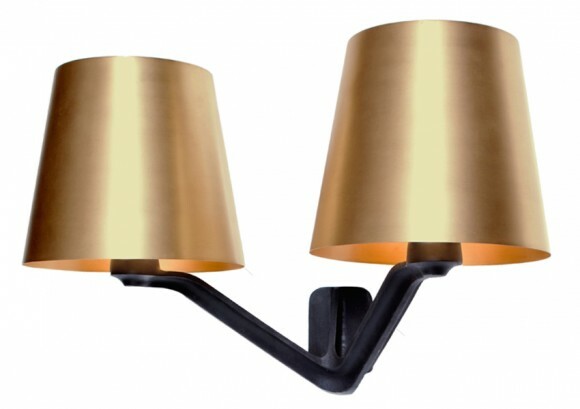 This raw wall light, comes with a black cast iron wall sconce, with two arms. 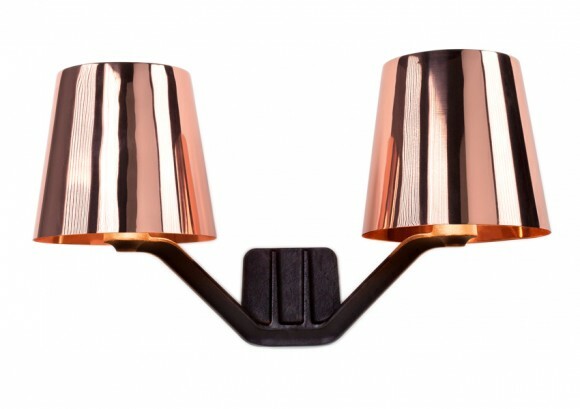 There is a choice of either brushed brass or copper plated steel shade. Dimensions: w55.4 x d25 x h30.1cm; to take 2 x E14 25W (max) golf ball LED lamps (not included).